If you are looking for programming problems to challenge yourself or to give to your students, then Project Euler is one good place to start. According to the website, “Project Euler exists to encourage, challenge, and develop the skills and enjoyment of anyone with an interest in the fascinating world of mathematics.” True indeed, the site has collected more than 400 programming problems in mathematics. Many of the problems are accessible even to Grade 8 students but some are a bit challenging. Non-computer science majors and non-mathematics majors who want to keep their “problem solving and mathematics on the edge” are also encouraged to try. To give you an idea of the difficulty of the problems, one problem is shown above. If you want to take the challenge of Project Euler, you may want keep track of your progress by registering. 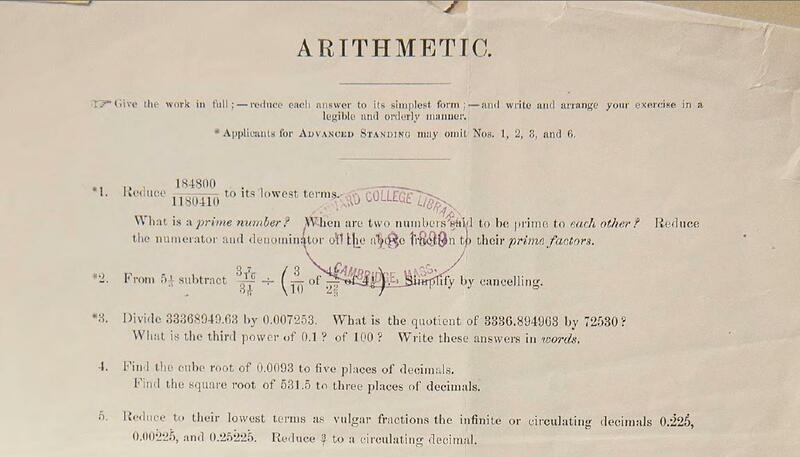 If you think your tough in math and can pass the 1869 Harvard math exam, don’t rejoice so much because there are other subjects as well. Other subjects included are History and Geography, Latin Grammar, English to Latin Translation, Greek Grammar with accents, and Greek Composition :-D.
Surprisingly, according to the original article, 185 out of 210 examinees passed the exam. Are you a math geek? Do you love solving problems? Do you like joining contests?